Posted on September 13th, 2018 under Denmark. Tags: concert photography, copenhell, megadeth, metal, Nikon D500, Tokina AT-X 11-20mm F2.8 PRO DX. 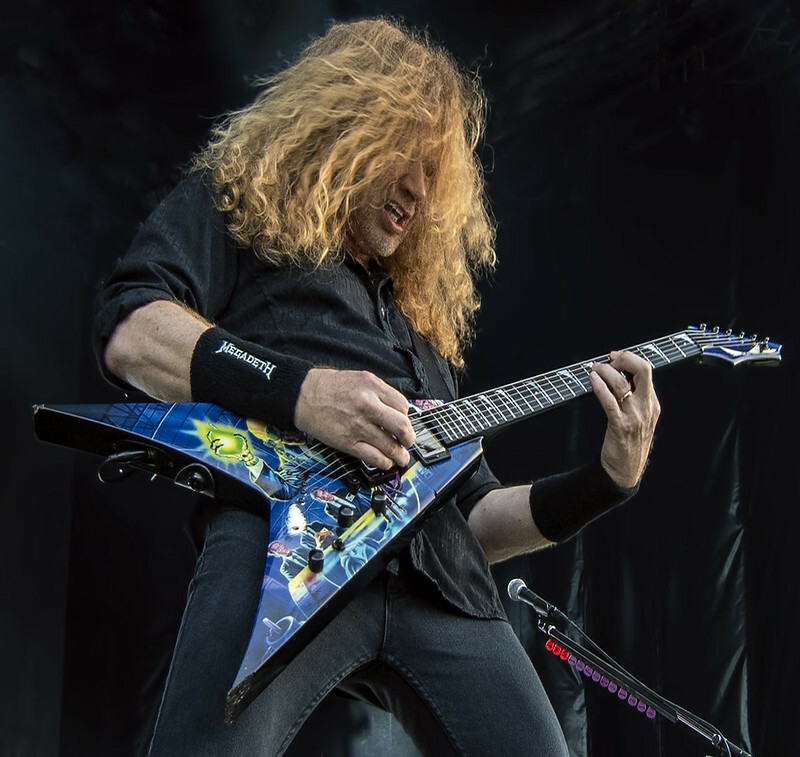 Comments Off on Happy birthday, Dave Mustaine! 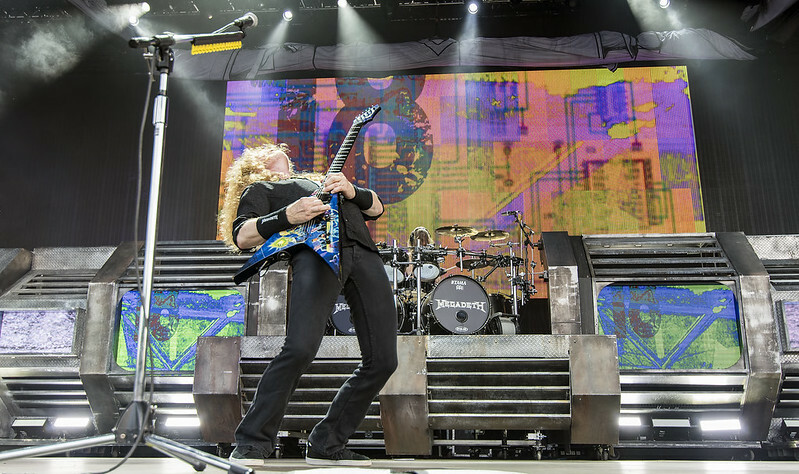 Megadeth took home their first Grammy Award this past weekend for Dystopia. Dystopia is probably my fourth favorite Megadeth album (after #1 Rust in Peace, #2 Peace Sells… But Who’s Buying?, and #3 So Far, So Good… So What). When I took today’s photo, Dave was playing one of my favorites off “Rust In Peace” (Hangar 18) at 2016 Copenhell. Here is a video someone else a few rows back of my position took of the song. The scene in the photo happened for just a split second during the last few seconds of the video. Posted on January 8th, 2017 under Other. Tags: concert photography, copenhell, megadeth, metal, Nikon D500, Tokina AT-X 11-20mm F2.8 PRO DX. Comments Off on Happy birthday, Dirk Verbeuren! 2016 Copenhell was my fourth time seeing Megadeth live. I saw them in the 1980s, 1990s, 2000s, and now the 2010s. See you again in the 2020s, Dave? Loud Park was the first time in 19 years that I witnessed Megadeth live. Before that was 1987 at The Stone in San Francisco on the “Peace Sells… But Who’s Buying?” tour. Dave Mustaine has really mellowed over the years. He was positively happy and in a good mood throughout the set. Both Dave and Chris Broderick, Megadeth’s recent guitar addition, are in really good shape for their ages–for any age really. Maybe they have hired a band chef and personal trainer or something. Dave, and the band, came out for an encore at the time they were supposed to be done. (All other bands, both days, stuck exactly to the schedule.) He said they would let him squeeze in another song. Then he said, in a way that is totally Dave Mustaineish, he doesn’t like to follow the rules. He did technically play only one more song (Holy Wars), but in the middle he threw in an extra song (Mechanix) so Megadeth ended up going way over time. Everyone loved it. Judas Priest, to stay on schedule, had to start their set just a few minutes later. Here is Megadeth doing Hangar 18. Crank it up. This video came out pretty good considering how crazy the crowd was around me.